Pool mesh leaf covers are an important part to maintaining and ensuring that your pool is in top condition any time of the year. When Las Vegas’ summers finally end we are left with the leaves that are in our trees to be in our pools. This can cause debris from blocking the filters and thus ultimately being very costly in repairs. Our mesh leaf cover is lightweight and hand-sewn by the experienced staff at Safe Defenses. All covers are made custom to the pool that it will be installed on. Our design will keep the leaves and debris out of your pool. 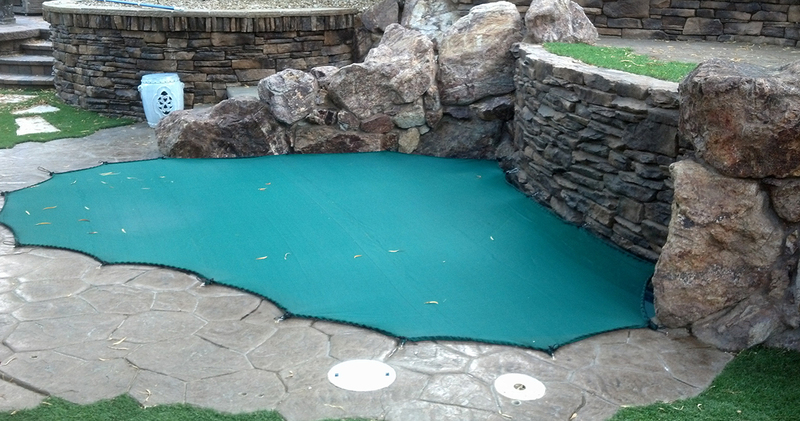 Our custom made mesh leaf covers are lighter than a standard cover. You will have an easier time putting your cover on and taking it off your pool. The mesh material will keep debris and large items out of your pool, while still allowing rainwater to seep into the pool.